SoftExpert Workflow is powerful enterprise software helping companies to easily execute business activities. 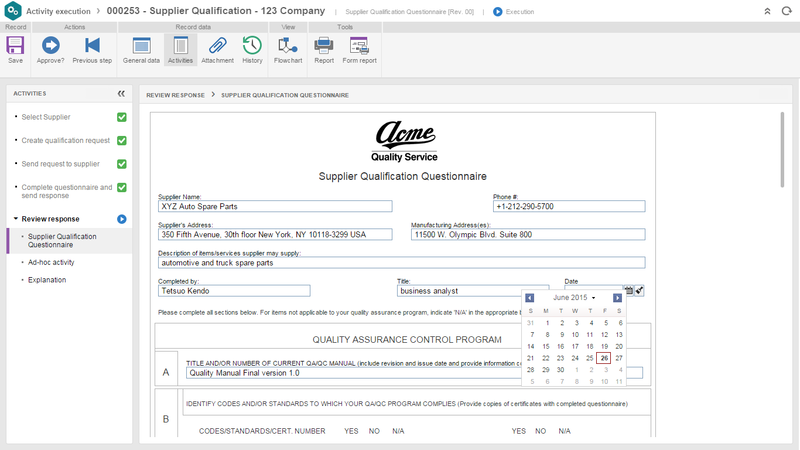 The solution makes it easier to meet deadlines and reach process objectives. This software promotes collaboration, allowing team members to communicate and share information about processes at all times. It notifies stakeholders and ensures that business rules will be followed to minimize errors, eliminate repetitive tasks and reduce waste. 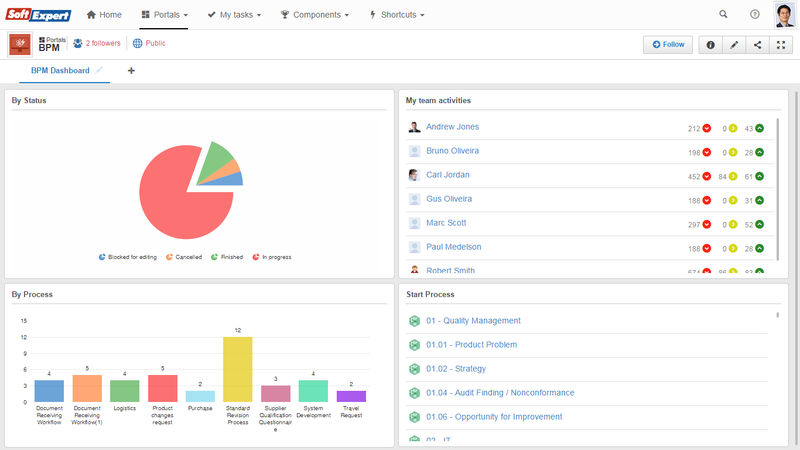 By providing tools to monitor and analyze business processes, SoftExpert Workflow ensures complete visibility and control over what happens at the company, in addition to reporting on bottlenecks and opportunities for improvement. No matter what the size of your business, rest assured that business process automation will add increased productivity and efficiency. Automates and controls workflows in a production environment, assigning process tasks to the right team, role or individual at the appropriate time. Improves knowledge sharing by automating collaborative and ad hoc human interaction. Enforces task priorities and deadlines required to meet Service Level Agreements. Provides users with a standard-based electronic form interface for information input. Manages and delivers content through integrated searchable document management. Provides full task management, including the delegation of tasks and process scheduling. Web services (SOAP/REST) and standard APIs facilitate seamless integration with third-party applications (e.g. ERP, CRM, Office). 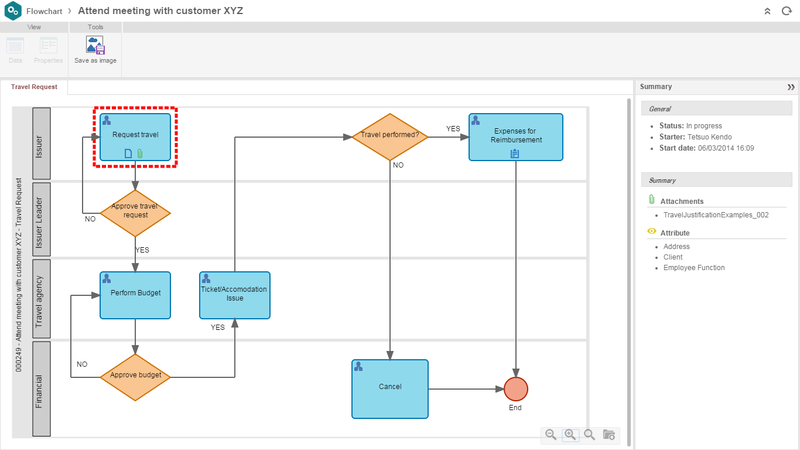 Sophisticated decision rules integrated into process flows. It allows you to initialize workflows and perform tasks via smartphones and tablets. Offers BAM (Business Activity Monitoring) capabilities and configurable alerts of critical events for any user or role. Generates event triggers that can start corrective and preventive actions (CAPA), contingency workflows, change executors or automatic escalation based on rules. Real-time monitoring of a work in progress during any stage of the process. 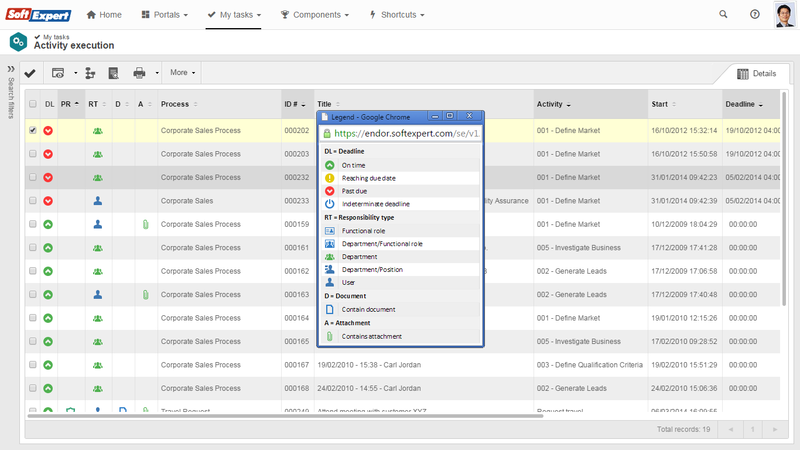 Allows process managers to instantly change process flows involved in handling exceptions. Allows users to view the total number of launched, completed and in-progress workflows (work load) during a specified period of time. Allows participants to see their work assignments as part of a flow diagram so they can quickly and easily check the status and context of currently running jobs. Allows workflow managers to analyze productivity and workloads through an extensive set of pre-configured reports. Analytics capabilities allows for line-of-business reporting and help business users access and analyze enterprise workflow information. Allows managers to drill down on data and “slice and dice” from different perspectives. Offers dynamic calculation and the comparison between actual and target values. Accelerates cycle times by reducing hand-offs. Allows managers to continually improve processes while ensuring that all process instances (workflows) follow the same rules and comply with the process model. How making BPM work, an important ingredient to help organizations work better and achieve their goals. This eBook was designed to help companies select the best BPM solution and to take process improvement to the next level.